When it comes to comfort, there’s little that can top the simple, timeless combination of jeans and a t-shirt. But just because you want to be comfortable doesn’t mean you have to say goodbye to your signature style. Unfortunately with the influx of fast fashion sometimes staying original and eco-conscious can be a challenge but luckily there is a whole new movement to address this very problem. Pop culture references and catchy graphic design run amok in this ecosystem of paint and fabric, and the kind of attention paid to the quality of manufacturing these T-shirts has proven to be quite jaw-dropping. While some staunchly stand by their artists’ dignity, others find ways to make the process as environmentally-friendly as possible, and as Homegrown combed the crevices of the world wide web for companies in India making the classic t-shirt not as a commodity, but a means to unleash your inner artist, we return rather impressed - no, overwhelmed - by these 9 companies taking the world by storm. No Nasties was started by Apurva and Diti –‘two bicycle riding, frisbee tossing, organic farming, city dwelling, Mumbai residents, who (try to) do no nasty. ‘Minimal design, attractive artwork, sustainable packaging’ make the products from NoNasties ‘easy on the eyes, easy on the planet’ is their snappy attitude towards saving the planet. NoNasties starts manifesting their beliefs right at the grassroots level with their cotton being grown in organic fair trade farms by small scale farmers all over India with no GMO seeds, no synthetic pesticides, and well, no nasties. Ethical fashion is a movement that is always in need of patrons, and NoNasties has stepped up to it with sass; their tees are manufactured for both guys and girls, and come plain or printed, ranging with effortlessly quirky to downright adorable.’Look good, feel good, and do no nasties,’ they say - we’re definitely down with that. The fall of 2012 witnessed 24-year-old Prateek Kayan leaving his job in New York to start Brown Boy, driven by a passion for great design, love for good clothes and frustrated with the lack of innovation in accessible high-street style. “Good Design, Good Quality and being Sustainable are part of our ecosystem. We absolutely had to be Fair-Trade and as environmentally responsible possible as we can. So we only use Organic Cotton to make our products. And gradually are taking steps towards being more eco-friendly,” he says. “The difference between something good and something great is attention to detail.” This is the driving thought that led to the genesis of Nineteen51, combined with a common love of t-shirts between co-founder Himay Kumbhani, owner of design studio LoudFOOT who has been custom designing shoes since his early years, and Neehar Shrikhande, upcoming event organiser and one half of Levitate Entertainment. The two spent a lot of time ‘spent a lot of time brooding over why the clothes available in India didn’t really hit the spot’ before they decided to take things into their own hands to deal with the generic issues with sizing and unflattering designs. The T-shirt became all the rage in 1951, after having been popularised by Marlon Brando in ‘A Streetcar Named Desire’ and Nineteen51 is here to make sure the flame keeps burning, as they search for a ‘balance between clean, slick, refreshing and dynamic design’. 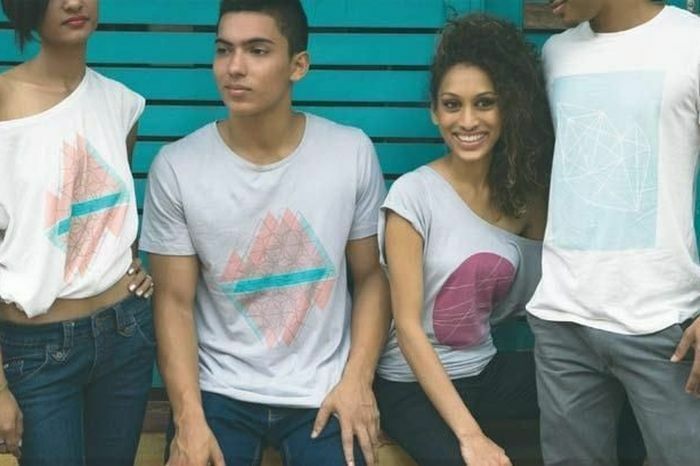 With a quest for a well-fitted t-shirt that’s on point aesthetically, Himay and Neehar intend to keep pushing the envelope when it comes to dynamic quality wear in the future. Perhaps it is only the infinite sub-genres they dabble in that recur as a motif in Kulture Shop’s designs. While they’re much, much more than a t-shirt company, both in ideology and in practice, it’s an arm they execute so well, they fit right in at the top of this list, having paved the way for many others too. Curating leading Indian Graphic Artists from around the world and printing their works on affordable boutique lifestyle products since its launch in November 2013, this lifestyle company is a confluence point of art, design and illustration. 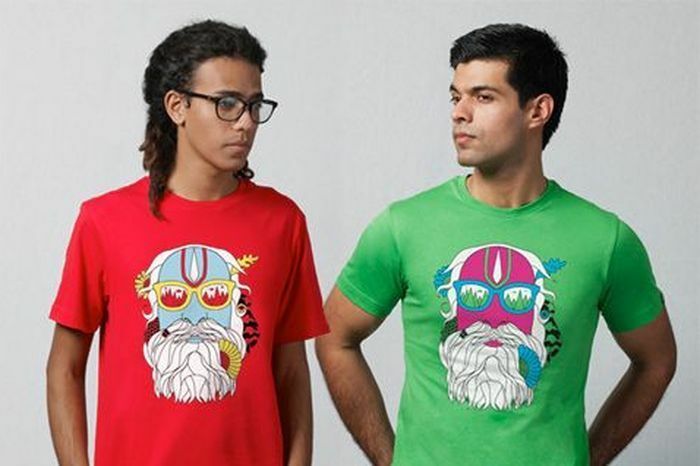 Creative director and co-founder Kunal Anand along with co-founders Arjun Charanjiva (CEO) and Jas Charanjiva (PR, illustrator and street artist), see lifestyle products as the canvas of our times and ‘Graphic Art as the Art of our Times that provides commentary on a new India and reflects a dynamic Indian identity’. The artist is revered in this ecosystem, with each Art Tee including the artist name inside the yoke of the shirt beneath the company logo, with the hang-tag providing a snappy artist bio plus the story behind the printed art in line with their mantra ‘Support the Artist’; a fantastic act of accreditation we at Homegrown really appreciate. 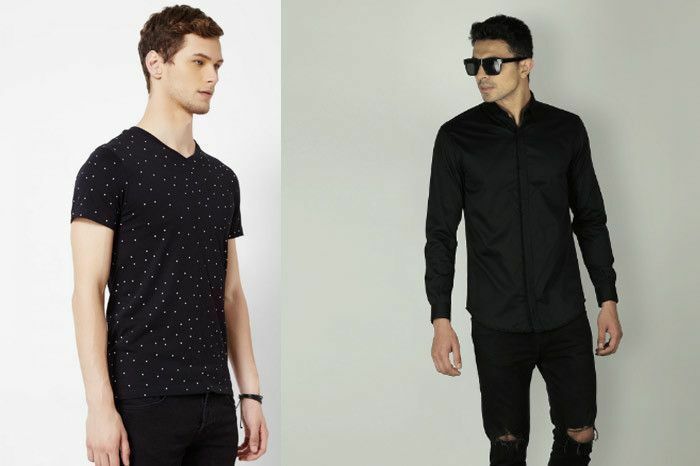 Ameya Thakur, Vivek Malhotra and Rahul Jaisheel came together in 2011 to found this indie clothing brand that tips its hat at pop culture with its engagement in the in the design and manufacturing of graphic t-shirts and various accessories. The Bombay-based company ‘was started by three guys with nothing more than a dream and a hunger to do something interesting’. Founded in 2009, Alma Mater, manufacturing t-shirt and hoodies, is the ultimate start-up story about a business idea skyrocketing. Besides well-designed products, the men behind the company Varun Agarwal and Rohn Malhotra personify the spirit of young entrepreneurship in the country with their marketing strategies, shunning the mainstream to march to their own drums - which, it turns out, led to a roaring success. says Varun, whose nostalgic reminiscing over a couple of drinks led to the genesis of the company. The first jerseys we made were of course for our school and had Cottonian printed on it,” recalls Varun. Giving the cold shoulder to conventional methods of digital advertising like Facebook ads and emailers, Varun’s book“How I braved Anu Aunty and built a million dollar company” was one of the unique marketing properties Alma Mater has used to fund the project, selling 3 lakh copies. T-shirts are the backbone of any wardrobe, for essence and style has no parallel, and Son of a Noble understands this only too well. This homegrown menswear label makes contemporary, graphic, and sophisticated garments for men who have just the teensiest snob living under their skin, as the brand likes to think. Founder Mani Shanker Singh has been plugged into the fashion industry for the last 14 years, and has since developed a keen sense of understanding people’s needs as well as their consumption patterns. While a large number of urban shoppers associate high quality to high-end international brands, there are a few who know better, the same people whom SNOB appeals to. All the products being 100% eco-friendly and bio-washed, the clothing line even uses special inks which are manufactured from recycled raw material, imported from Japan and Canada, for the designs. Meanwhile, the environment rejoices at the studio’s green choices. With a majority of Indian artists, as well as artists from Romania, Russia and Denmark, and an aggressive marketing strategy that is all-too-aware of the value of exclusivity, Po10c creates only a limited number of each design, a flash of colour in the mundane sea of everyday clothes.